Frank Wolf at his own Studio F facility. In an era where album sales are declining, movie soundtracks seem to be bucking the trend. In 2017 alone, Trolls, Moana, Fifty Shades Darker and La La Land have all yielded hit albums, and the latest to do so is Disney’s Beauty And The Beast, a live-action remake of Disney’s own 1991 animated film that has already become the highest-grossing live-action musical of all time. Both versions feature the same songs by composer Alan Menken, famous for countless theatre productions and classic Disney movies like The Little Mermaid (1989), Aladdin (1992), Pocahontas (1995), and Tangled (2010). The 2017 version of Beauty And The Beast contains a new underscore (the instrumental music that supports the on-screen action) and three new songs composed by Menken, with lyrics by Tim Rice. 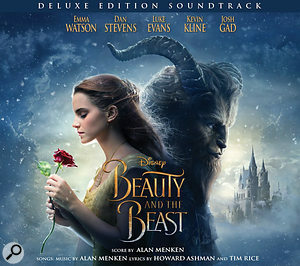 All songs are sung by the cast members, such as Emma Watson (Belle), Dan Stevens (the beast), Luke Evans, Kevin Kline, Ewan McGregor, and so on, with orchestral accompaniment, sometimes reinforced with a rhythm section, all in a romantic and theatrical musical style heavily influenced by Broadway and French music. Three of the songs appear twice, during the end titles and on the soundtrack album, the second time recast as pop songs, sung by Celine Dion (‘How Does A Moment Last Forever’), Ariana Grande and John Legend (‘Beauty And The Beast’), and Josh Groban (‘Evermore’). Beauty And The Beast has become the highest-grossing live-action musical movie of all time. 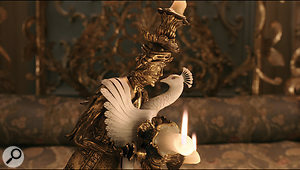 Both the film and the soundtrack versions of the song ‘Beauty And The Beast’ were mixed by Peter Mokran, while Celine Dion’s song was engineered and mixed by Humberto Gatica and Martin Nessi. The remainder, including all the songs that appear in the movie, the underscore and the rest of the soundtrack album, was recorded and mixed by Frank Wolf, a music industry veteran with an enormous amount of experience — Allmusic.com lists more than 400 credits! 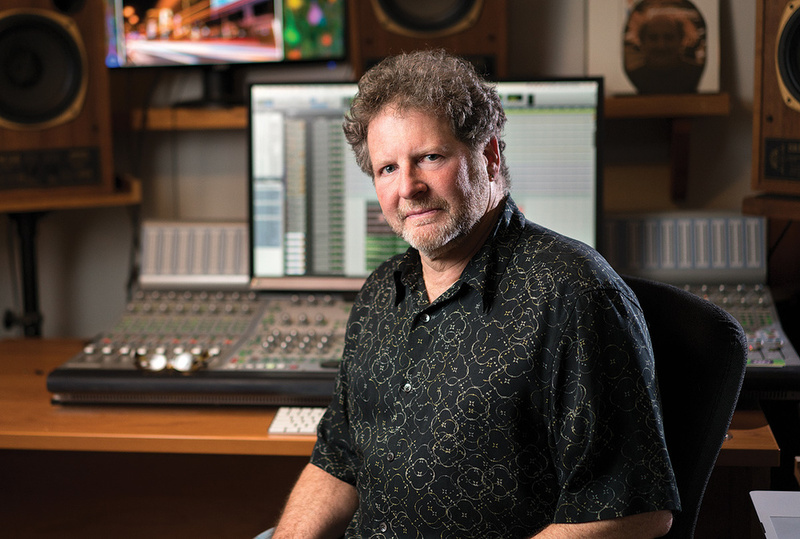 Wolf has long-standing working relationships with Disney as well as with Menken, also having worked on the latter’s scores and/or soundtrack albums for Hercules (1997), Home On The Range (2004), Tangled (2010) and Mirror Mirror (2012). Work began in London in the Spring of 2015, with discussions between Wolf, director Bill Condon and music producer Matt Sullivan. “I knew that Bill really did not want to do simply a remake of the 1991 version,” recalls Wolf. “The first major change, obviously, was that it’s a live-action movie, and it was going to be darker and more emotionally intense than ’91. All the arrangements were new, and while they were in some cases similar, they tended to be a lot bigger. We wanted the orchestra to be big and dramatic and sweeping and fully of action. And we knew that the songs that have a rhythm section needed some kick. 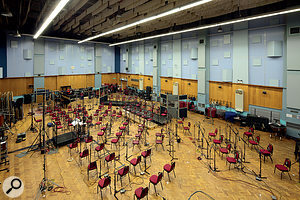 The decision to work with new arrangements, and also the fact that these had to be tailored to ongoing picture edits, led to an amazing number of people being credited on each of the songs — in many cases, an arranger, four orchestrators, four orchestral MIDI programmers and two composers of additional material. Wolf: “In the beginning, Disney and Alan Menken assumed it’d be like every other Menken project, where he just comes in with his team and takes control. So he brought in his arranger, Michael Kosarin, nicknamed Koz, and his orchestrators, Danny Troob, Michael Starobin and Doug Besterman. “We started with recording the rhythm section parts,” Wolf elaborates, “and almost all of the actors came in to record their vocals. We also recorded first passes of most of the backing vocals. We did this at British Grove because it’s one of the coolest studios you can find anywhere. It is beautiful, has great gear, a wonderful Neve 88R console, and a nice large recording room with five overdub booths, which is great for the work we were doing, as we wanted to be able to separate things. “Michael Kosarin conducted the entire process. He is like a human metronome. He either waved the tempi imagining how the songs were going to go or he played the piano parts for each song in the tempo he imagined, and then the rest of us, particularly Matt [Sullivan] and Chris [Benstead], would later massage these tempi in MIDI and create a tempo map with all the rubatos and accelerations we imagined were appropriate. However, not all songs have a rhythm section, in which case singers sang to an orchestral MIDI demo. “The rhythm section parts were overdubbed individually, with the musicians playing to the tempo maps. I recorded drums, bass, guitar and piano, in the same way as I would do for a pop record, so where needed I applied EQ and compression on the way in, using GML EQs and GML and 1176 compressors, and Neve and API mic pres. I also used the mic pres on the studio’s Neve desk. We recorded some other things as well, like accordion and fiddles, and we pounded on boxes trying to illustrate the footstomping and table dancing that we knew would happen in the song ‘Gaston’. “After that we recorded all the cast vocals, apart from those of Emma Thompson, because she was not available and was recorded later. We recorded in sections, and with some of the rubato songs, like both versions of ‘How Does A Moment Last Forever’, it was a matter of play a piano chord, sing a line, play a piano chord, sing a line, and so on. In general I used either Neumann U47s, U67s or AKG C12s on the vocals, as well as a shotgun mic three feet away to emulate what they would be doing when recording dialogue on set. This was to make the hand-off from dialogue to singing and back sound more coherent. We always were very conscious of trying to get that handover to sound as seamless as possible. 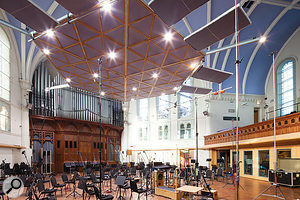 Most of the orchestral recordings used on the soundtrack took place in Abbey Road Studio One.Photo: Hannes BiegerWolf returned to London in March 2016. With the film shoots done and the edits by and large complete, it was time to do the final recordings, including choir and background vocals, and the orchestral recordings for the songs and for the underscore. “It’s a costly undertaking to record 100 people in an expensive studio, so the orchestral sessions usually are done once the film edits are complete, or nearly so, and you can be pretty certain you don’t have to change them any more. 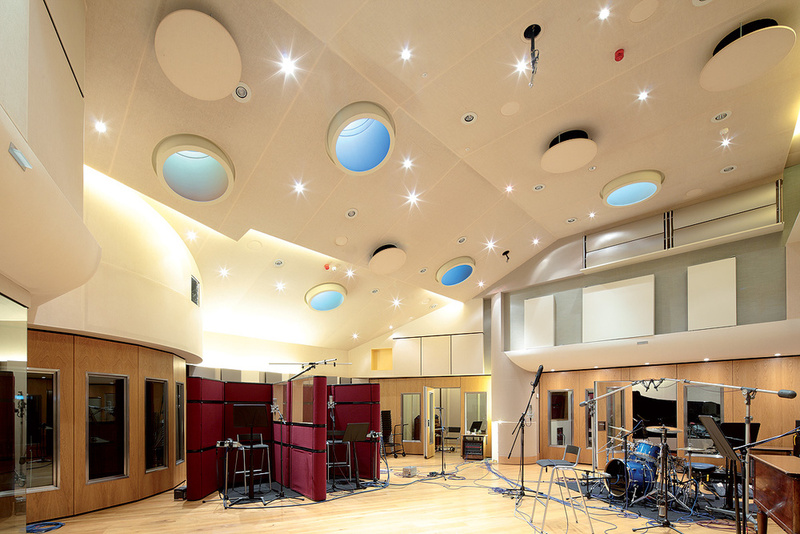 The first session in March 2016 was at Abbey Road Studio One, where we recorded full orchestra to the two versions of ‘How Does A Moment Last Forever’ and to ‘Beauty And The Beast’, ‘Belle’, ‘Belle Reprise’ and ‘Days In The Sun’. 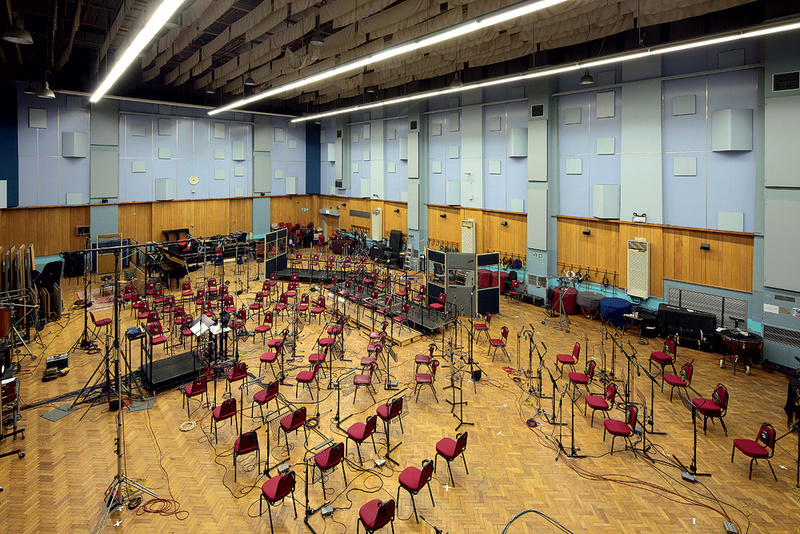 We then went back to Abbey Road in June to record the full orchestra for the other songs, and some choir and background vocals. 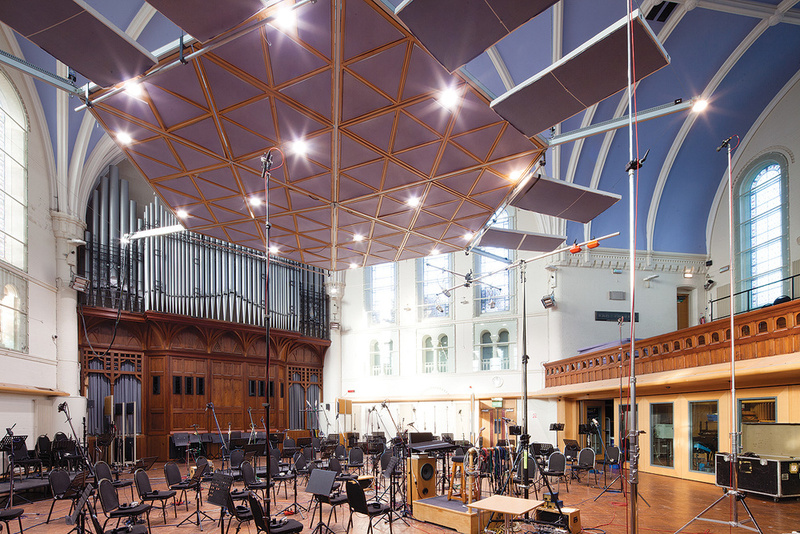 In August we recorded the underscore and the final choirs at AIR Lyndhurst. “Koz was conducting the orchestras, using clicks and streamers, which he had set up with Chris Benstead. In a couple of places where the singing was really rubato, he just listened to the recorded vocal and conducted along as best as he could. He’s really good at that. We recorded the orchestra mostly in sections. Every song had a detailed MIDI orchestra mock-up, and when we recorded strings and winds, we would switch the MIDI strings and winds off, but keep the brass and percussion playing, so you could hear the entire arrangement. When we recorded the brass, we’d turn the MIDI brass off, but played back the rest. We generally recorded the orchestral percussion last. Because the songs are the most important aspect of the score, everyone was there, including the director, and wanted to hear everything at the same time, even if it was not played at the same time. Elaborating on the more technical aspects of his vocal and choir recordings, Wolf explains that his orchestral recording approach was “very traditional. I have a Decca Tree above the conductor with three Neumann M50s, and a couple of AKG C12 wide mics, maybe 10 metres out in each direction. I also have a couple of B&K 4006 room mics high up in the wings and some medium-close mics on the sections. For the strings, I reach as high as I can with my hand, and that’s as close as I like the mics to be. My violin mics were the C12 and [Neumann] KM84s, and I had two U67s on the violas, and Neumann U47s on the ’cellos and basses. On the woodwinds I had [Neumann] KM86s as close mics and two C12s for the entire section. The horns had SM69s, M49s, and I had KM54s [all Neumann models] on the trumpets, and U47s on the trombones. I had seven Neumann KM84 microphones on the percussion, and a tube U47 on the timpani. Finally, in September 2016, Wolf arrived at something close to the final music mixes. Yet he still was not finished. 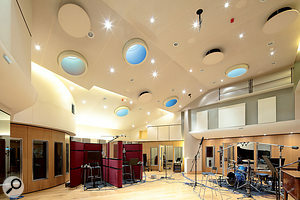 Over several months he continued to tweak the music mixes at his own Studio F, and then sent the results over to London for the final picture editing sessions, and eventually for the final sound dub, performed by Michael Minkler, who mixed all sonic elements, the dialogue, sound effects and music. Unsurprisingly, because of all the endless tweaking that movie-making involves these days, almost everything in the film world is now done in the box. High track counts are normal for soundtrack projects, and Frank Wolf’s Pro Tools session for ‘Be Our Guest’ totalled well over 400. A detailed analysis of a mix session like this, which has taken months to build, could easily fill dozens of pages of this magazine, so Wolf chose to highlight a number of the most important aspects and sections of his mix, and supply the corresponding screenshots. The topmost section of the Pro Tools session for ‘Be Our Guest’ shows Frank Wolf’s distinctive way of making large projects navigable. Each section has its own VCA track, with a single audio track serving to indicate where on the timeline that section contains audio. Wolf has evolved a neat way of organising large sessions and retaining an easy overview: VCA tracks that control different sections of his session are all at the top, accompanied by one audio track each that represents an entire block of audio tracks further down, as a visual reminder of where the audio occurs. “Track 3 contains 5.1 mixes of the vocals and the music. Below that is track 4, called ‘_Big Dude’, which is a master of everything, just in case music and vocals are too loud or too soft. Track 5, ‘_Mstr’, controls all the music, and ‘_L Vox’ all the lead vocals and ‘_VocEFX’ all vocal effects. I indicate VCA tracks by putting an underscore in front of the track name. Also, I like to keep track numbers on, so I can always tell where I am in the session. A lot of people switch track numbers off — I don’t know how they manage! “The four tracks below that, in the puke-y yellow, are the lead vocals, with Ewan McGregor’s on track 8 the most important. My vocal chain on his vocal starts with the Massey De-Esser, then a beta version of George Massenburg’s new MDWDRC2 compressor, then the FabFilter Pro-Q2 EQ, the Waves C4 multiband compressor, and finally another Massenburg EQ. The Q2 is just doing a bit of corrective EQ, and the Massenburg EQ takes out a bit at 2k. The C4 pulls out a little at 4k in loud sections, just because the sound can get really edgy in the theatre around that range and hurt your ears. “The most interesting thing here is George’s MDWDRC2 compressor, which is very fancy, and very complicated! There’s 12.3dB gain going into the compressor, and below that, where it says ‘Rot Point’, which is set to -6.5, is the point at which the compressor section compresses, ie. not the peak section. Under the Peak section you can set the Attack and Release, but both move together to minimise potential distortion, though it allows you to reset the attack if you don’t mind a little more harmonic distortion. At the bottom is a box called Auto Release which allows you to set how quickly the compressor releases based on how quickly the input fades away. The compressor sounds great on vocals, but I’ve asked George to supply it with a block diagram to make it easier to understand! Midway down the session are the stem tracks that Frank Wolf delivers to the dubbing mixer. “The other lead vocals have plug-ins like the Waves Renaissance Vox and De-esser, and again the Q2 and the C4. All lead vocals have sends to reverb aux tracks. I generally set up a palette of aux tracks that consists of a UAD 140 Plate, a Lexicon Vintage Plate, a Revibe Hall, a Waves IR1 short room (about 1.3s), and an Altiverb for a similar, but different, short room environment. I mix and match these using different amounts from song to song and environment to environment. As with most aspects of my mixing, I try not to get locked into one way of doing things. It gets stale for me and doesn’t challenge me to try new things. In this case I have three sends on Ewan’s vocal, with one going to a UAD EMT 140 plate, the second to the Waves IR reverb and the third to a longish hall reverb from Revibe. Just over halfway down the session, tracks 254 to 275 are the prints of all the tracks Wolf sends to the re-recording (aka dubbing) mixer. 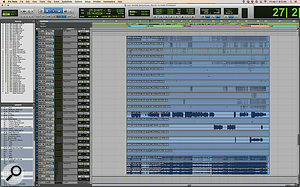 They consist of 17 5.1 stems, three mono lead vocal stems, and a stereo fold-down stem and a stereo instrumental stem. These print tracks are fed by a collection of master tracks, 232-252, on which Wolf has some of his more important sonic treatments. While his lead vocal tracks often have elaborate effect chains, as described just above, the individual orchestral and choir tracks are mostly untreated, with the heavy lifting executed for the most part on the master tracks. Powerful but challenging: Frank Wolf’s mix made use of a beta version of a new compressor plug-in from George Massenburg. 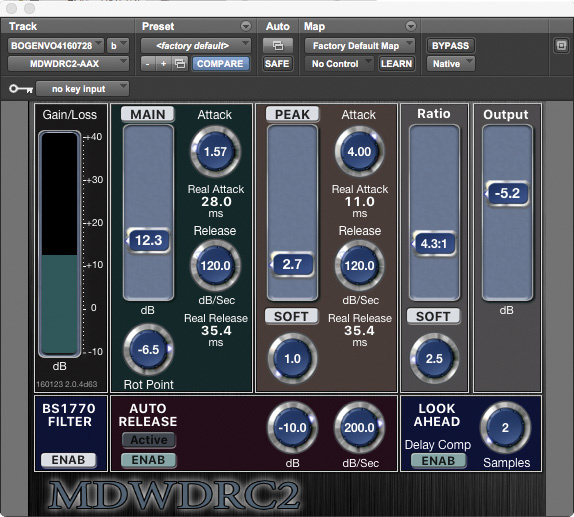 “As I mentioned before, I treat the rhythm tracks as if they are for a record, so they may have quite a few plug-ins, but the orchestra tracks, apart from some EQs to gently brighten the bass and the room mics here and there, are not laden with plug-ins. I’ll also add some brightness to the percussion room mics, but the close mics are flat. With the vocal ensembles we recorded in March 2015 I did have some compression and EQ on each track, but the choir recordings were recorded flat, with no plug-ins at all. “I like to use VCA tracks as visual delineators in a session, and track 231 is there for that reason, though if for some reason I want to pull all the music down relative to the dialogue, I can do it with that VCA. 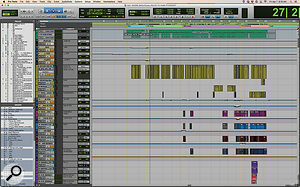 But mostly it indicates where the audio in the sessions end and the master tracks start. The next four tracks are the orchestral masters: ‘Orch 1’, ‘Orch 2’, ‘Harp’ and ‘Percussion’. All the orchestral recordings go through those. ‘Orch 1’ is strings and winds, and has a Q2, the UAD Massive Passive, the Pultec EQP-1A, the PSP Vintage Warmer, the Avid Pro Limiter, the C4 and a Trim. 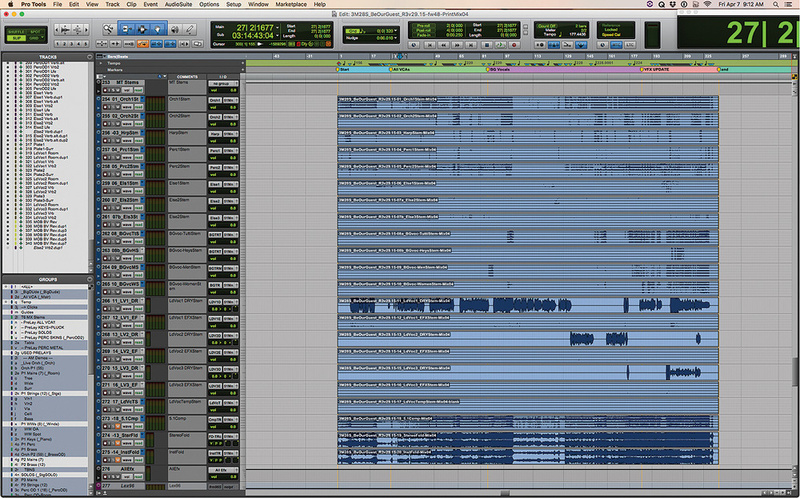 The fact that two of these plug-ins are purple means that they work on just some of the 5.1 tracks, and not on all. In this case the EQP-1A is brightening up the LCR channels a little bit. “The Pro Limiter is there purely to prevent sudden peaks. If it hits more than twice in a song, I’ve set it too tightly. The Vintage Warmer adds a little bit of size and brightness without making things harsh. None of these are doing anything extreme. The other orchestral stems/master tracks have fewer, but similar plug-ins. There are three instances of Avid’s Trim plug-in on the orchestra tracks because I wanted a little more signal in the surrounds. Just putting the Trim on them was the easiest way of doing it. “The next track, number 236, is a side-chain with the Metro Halo Channel strip, set pretty aggressively but mixed quite far down, and affecting track 237, which is the drum master. Next are three ‘Else’ master tracks, containing piano, accordion and a solo, and they have the Pro Limiter, the Vintage Warmer, and in one instance the Waves JJP version of the EQP-1A. If I run out of horsepower on my UAD card, I sometimes use that one. 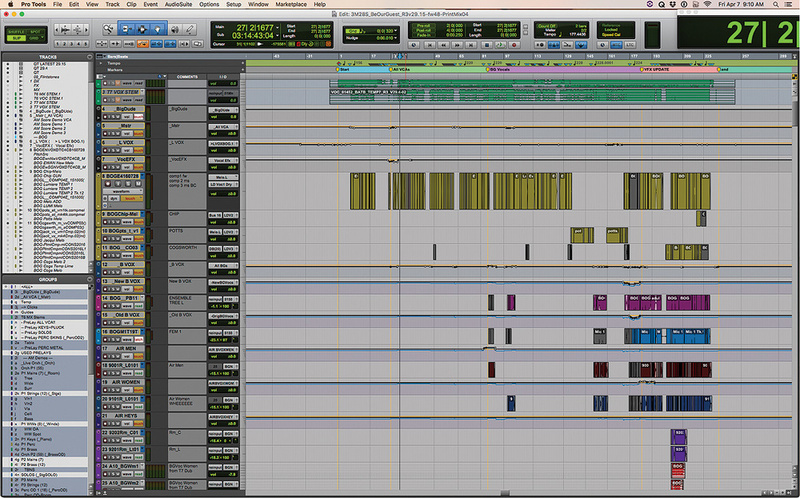 The next six tracks, in purple, are the backing vocals, split in two each of tutti, men and women. These are aux tracks and not masters. The first three have the Waves IR, because the early vocals recorded at British Grove are dryer than those that were recorded at AIR, so I added some additional reverb. They all have the Sonnox Oxford EQ. I like to change the EQs I use and not do the same thing all the time. The Oxford takes 1dB down at 200Hz, and pushes 0.8dB up at 3.6k, so, obviously, very subtle. Several of the backing vocal tracks also have the Metric Halo Channel Strip, brightening and compressing things a little bit, and again the C4. “Next are three ‘Lead Vocal’ master tracks, which have just the Avid Peak Limiter, again just to prevent unexpected peaks. I don’t actually limit. The 5.1 comp track of everything has the Pro Limiter for the same reason. 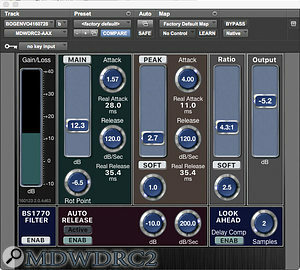 The two stereo mixes of all tracks also have the Peak Limiter, and the Downmixer plug-in, which is a very easy way to mix from 5.1 to stereo. You can set the levels of the individual channels that you want to fold down to stereo. There’s also a Massey 2007 Limiter on each of these two stereo tracks, squeezing maybe 1-1.5 dB and making things a bit brighter, as it’s set to ‘Vibrant’. Frank Wolf is hired because of his capacity to combine classic romantic Hollywood lushness with modern edge and directness. As a teenager he listened to lots of orchestral music as well as to pop, and learned to play classical piano. He also joined a pop band, but during a recording session with them, he found what the guys on the other side of the glass were doing far more interesting. Wolf went on to study music at the University of California in Los Angeles, and engineering at the Institute for Audio Research. He also spent a while working in the maintenance department at one of LA’s top studios, The Village Recorder, and he set up a small studio. While at the Village, Wolf did lots of engineering during downtime. He ended up working closely with a band who got a record deal, and left the studio. The band didn’t go on to great things, though some of its members became well-known musicians, and through one of them, keyboardist and songwriter Robbie Buchanan, he ended up recording Johnny Mathis at George Massenburg’s studio. The connection with Massenburg led to Wolf mixing part of 10,000 Maniacs’ classic In My Tribe album (1987), which was produced by Peter Asher. Wolf subsequently recorded and mixed a whole swathe of Asher-produced albums, by the likes of Neil Diamond, Diana Ross, Cher and Randy Newman. Wolf’s first foray into soundtrack recording occurred when Newman asked him to record his score for the movie Avalon (1990). Wolf had never recorded a 100-piece orchestra before, but managed to achieve results that were impressive enough for him to be asked to record and mix the songs Menken wrote for Hercules. Since then, film score work has become his mainstay. 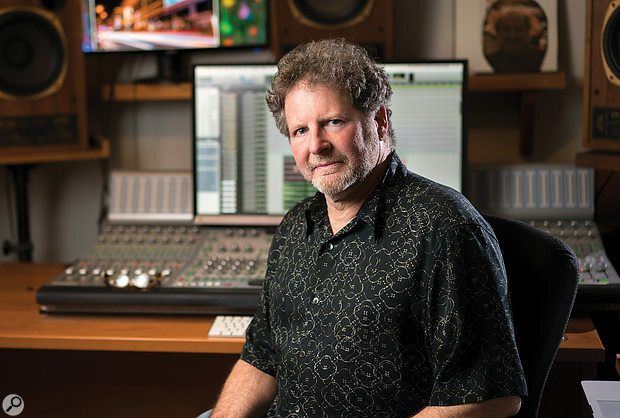 He has recorded, mixed and co-produced the soundtracks for many movies, including classics such as Toy Story (1995) and Monsters Inc (2001), while also still occasionally continuing to be active in the world of rock and pop. One detail that leaps out when looking at the screenshots of Frank Wolf’s mix of ‘Be Our Guest’ is the extensive and very complex title at the top: ‘3M28S_BeOurGuest_R3v29.15-fw48-PrintMix04’. Elements of this row and letters and numbers also appear on some of the tracks. Wolf calls it “nerd ho”, and explains: “‘3’ refers to Reel 3 and ‘M’ means music; ‘28’ means it’s the 28th piece of music in the film. You start with ‘1M0’, which would be the Disney logo; ‘1M1’ usually are the opening credits, and then you get ‘1M2’, ‘1M3’, and if the last piece of music on the reel would be ‘1M9’, the next would be ‘2M10’. ‘S’ means it’s a song. Next up is the song title. ‘R3v29.15’ comes from the edit room and informs what version of film edit this timecode start refers to (29), and how many versions of editing where the timing was not changed (15)! ‘Fw’ are the initials of my name, and tells me that I did not start that mix at my studio. If I had started the mix at Studio Frank Wolf, I’d have written ‘sfw’. ‘48’ means I incremented and saved my mix 48 times, and finally, ‘PrintMix04’ means I printed this mix three times before this one, so this is the fourth iteration.